There may be a time when you want to remove all emails from your mail logs. For example, you may want to remove outdated emails to clear the logs. 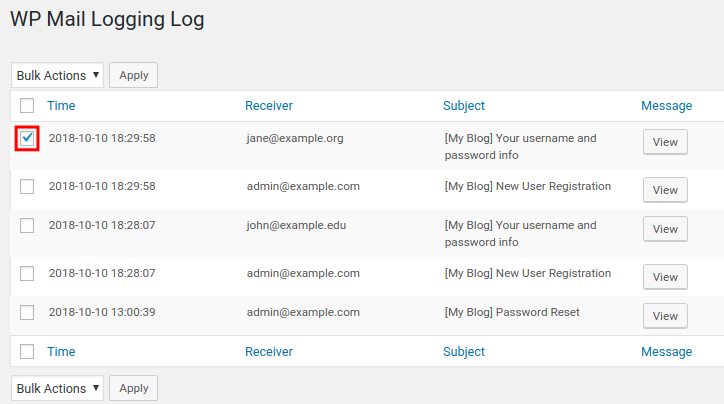 As we continue our series on the WP Mail Logging plugin, we will now show you how to delete email logs in WordPress. 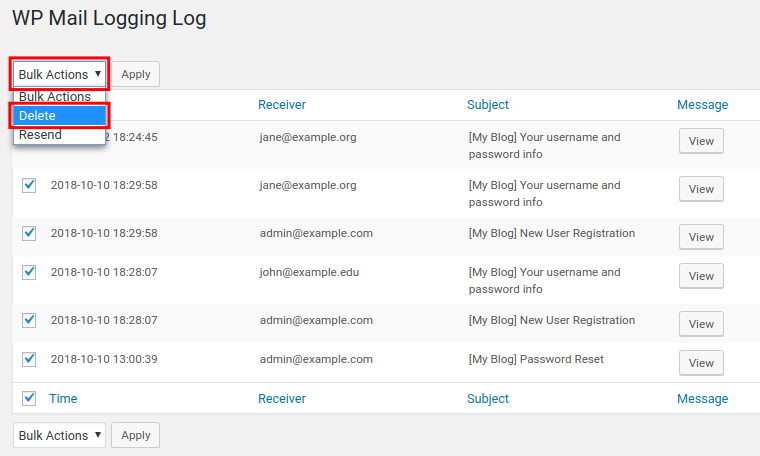 Note: You must install WP Mail Logging before attempting to follow this guide. Click the WP Mail Log link in the navigation menu. You will then see a list of emails sent from your WordPress site. Check the box next to the email you want to resend. You can also check the box on top to select all emails listed. Click the Bulk Actions drop-down box and select the Delete option. The email(s) you selected will then be deleted. In this example, I deleted all emails in the log. 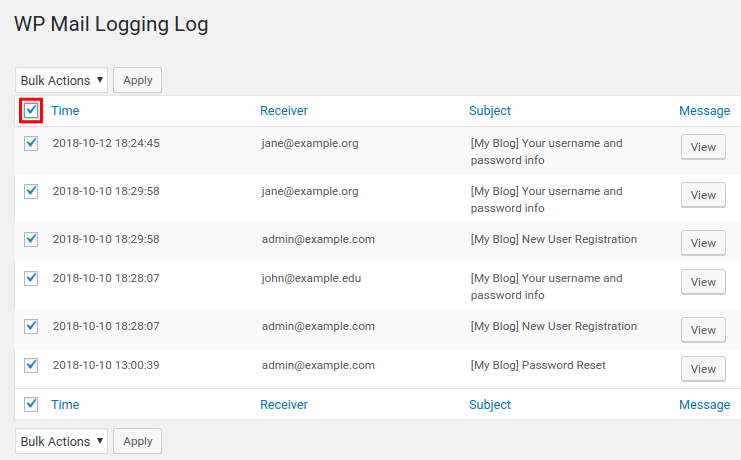 Congratulations, now you know how to delete email logs in WordPress using the WP Mail Logging plugin!